Secretary of the Second Division Football League Committee Mohidur Rahman Miraz speaking at a press conference at the conference room of Bangladesh Football Federation (BFF) House on Saturday. The Dhaka Metropolis Second Division Football League begins today at the Bir Shreshtha Shaheed Sepoy Mohdammad Mostafa Kamal Stadium in the city's today. Tongi Krira Chakra will face Gouripur Sporting Club in the opening match at 3.45 pm. State Minister for Youth and Sports Zahid Ahsan Russell will inaugurate the football competition as the chief guest today at 3.30 pm. A total of 13 teams are taking part in the football meet. 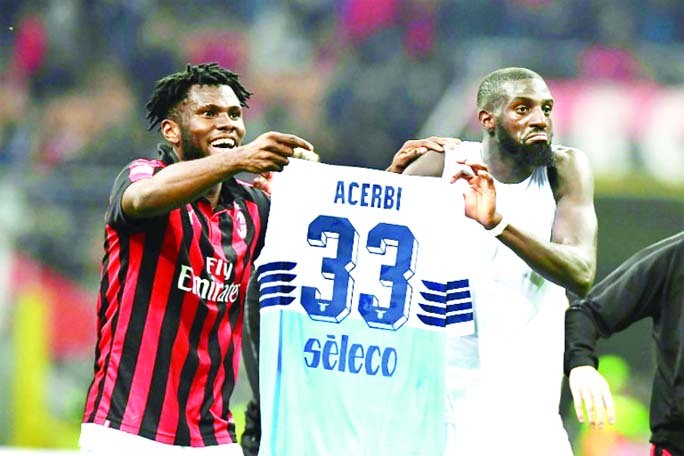 They are: Tongi Krira Chakra, Purbachal Parishad, Azampur Football Club, Little Friends Club, City Club, Mugda Samaj Kalyan & Krira Sangsad, East End Club, BG Press S&RC, Shantinagar Club, Dilkusha Sporting Club, BKSP, Khilgaon Football Academy and Gouripur Sporting Club. The football league will be held in single league basis. 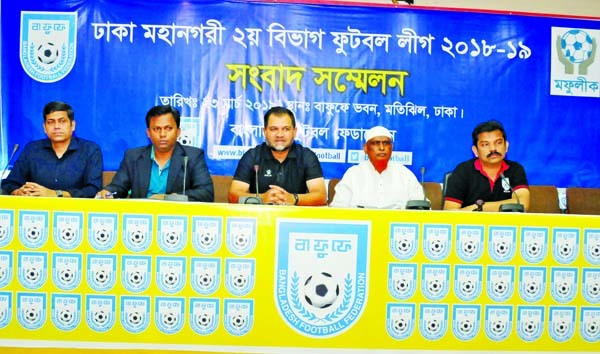 Marking the upcoming football competition, a press conference was held at the conference room of Bangladesh Football Federation (BFF) House on Saturday. Senior Vice-President of the Second Division Football League Committee Md Nazrul Islam, Secretary of the League Committee Mohidur Rahman Miraz and Media Manager of BFF Ahsan Ahmed were present at the conference, among others.